The top sketch is of Brunswick Bound – a bookshop I am fond of. I sat with my friend B – we went to VCA together – and it was nice just to drink tea, sketch and buy books. 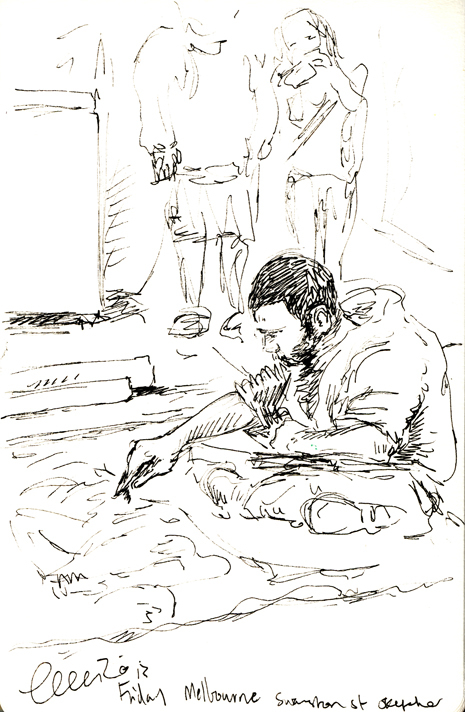 I then visited another friend – Nicholas Jones – in his studio and did a very rough sketch (above ). I’d like to go back and draw for longer. I’ve been sketching people about town a lot lately. The above one is of an artist recreating an old work in chalk on Swanston Street. His friend watched me and then introduced himself when I had finished – he told me his name was Wayne and said that his name will probably change again soon. We talked very briefly about art and composition and then I made a mad dash to meet my better half for a delicious dinner. 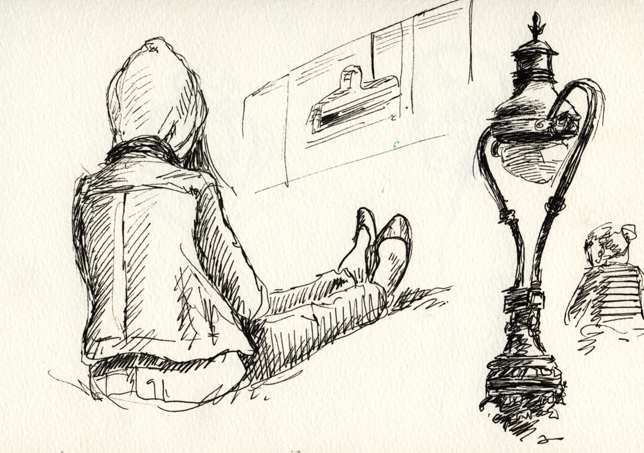 I was also at the Wheeler Centre and I decided to do some more sketching out front of the State Library of Victoria. I had aimed to draw the building but found I wanted to do quick sketches of people sunbathing, reading and chatting on the lawn instead. 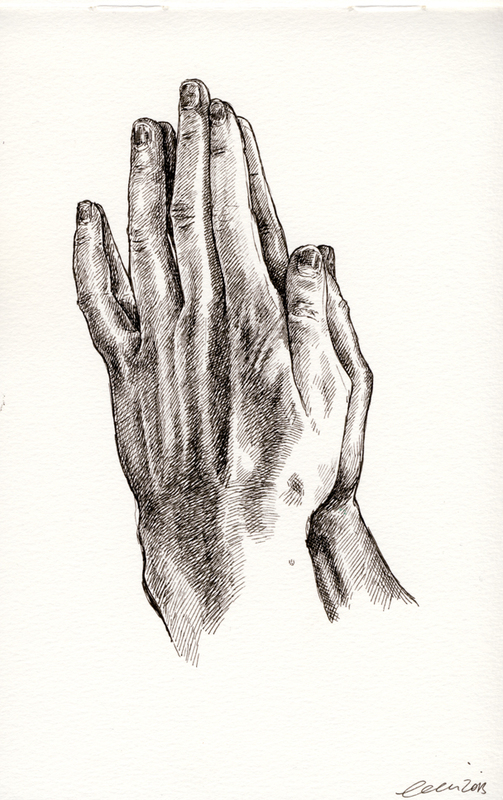 I’ve been thinking a lot about Dürer lately and deciede to do a quick drawing referencing his prayer hands drawing. 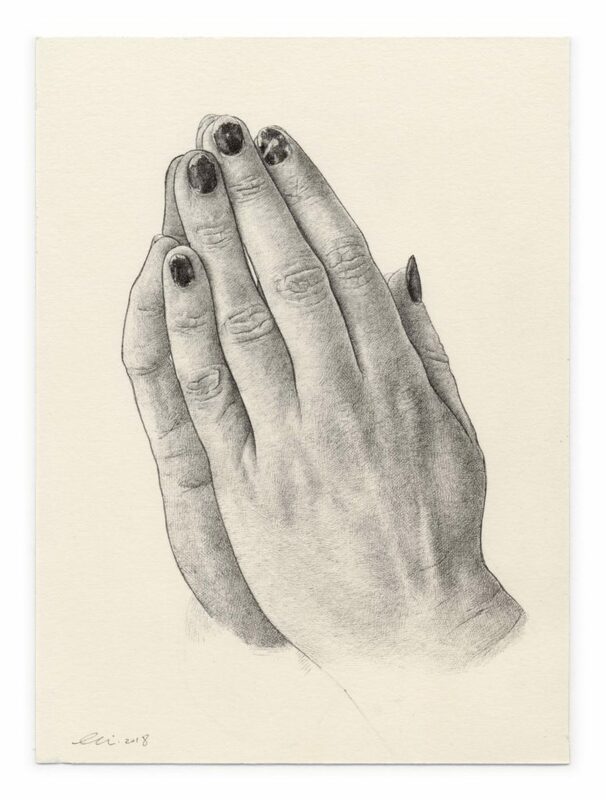 I nicknamed it “Dürer with nailpolish” – not sure anyone apprictaes that, but I do. I’m thinking of doing a series of portraits of men – as my last two big drawings of Nicholas Jones and TUSK were very popular. So I asked my long time pal and fellow artist Mo Campobasso to pose for me as well. 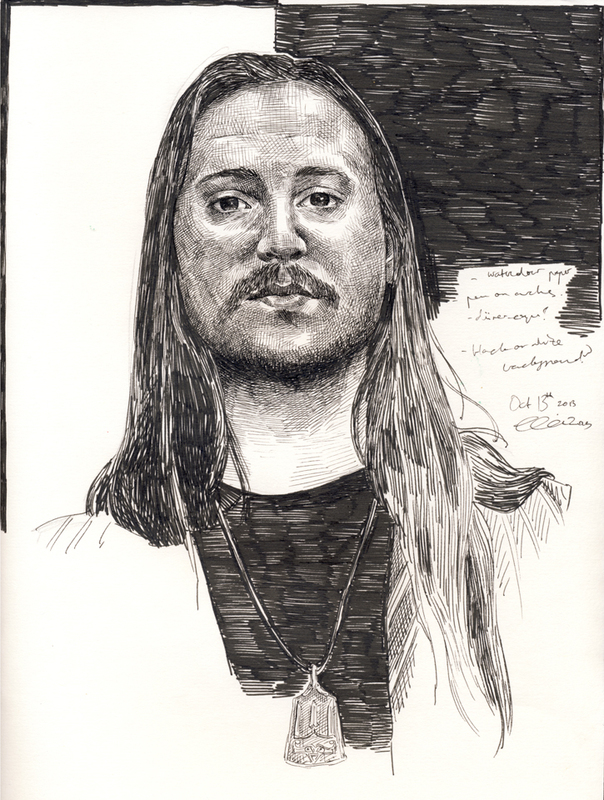 We chatted about Dürer’s self portraits.